I have just gotten this book written by Jonathan D. Pond and have benefited much from the 101 Personal Finance Tips shared within. Benefited so much so that I wanted to copy the content within and put them down here as my future posts! Oops! And if you have not read this book yet and you are serious about your Financial Planning in 2011, my suggestion is that you try to grab hold of this book and have a good read over it. Try to apply the tips as well and you can definitely make a significant difference in your Personal Finance this new year! I will be sharing some of the tips here so that you can appreciate what is being written and decide whether to get this book as your next read. Reading more of such books will definitely help you in your Financial Education. Note: I will not be sharing the full content but the digested summary of it just so that you can appreciate. Eliminating any debt that doesn’t provide long term benefits. Build up and diversifying your retirement investments. If you have to start small, that’s fine. These above steps are boring, but if adhere to them, you will end up being the envy of your less-disciplined counterparts. The goal is simple: to eventually have enough money to live on, plus some extra. The purpose of a budget is very simple: to find out where you spend (or, perhaps, squander) your money in order to find places to cut back so that you can begin to save or increase your savings. Platinum Strategy – It’s Not Your Spending That Matters. If you are already saving already, but want to save more, just go for it. The key here is to gradually boost the amount you save. In our society, you can borrow to acquire just about anything. Here’s the caveat in seven words: Never Borrow To Buy A Depreciating Asset. Three and a half worthwhile reasons to go into hock. A Home. You borrow to buy a home, work assiduously to pay off the mortgage, and forever after enjoy owning a mortgage-free domicle. Education. Education is a great reason to borrow because your return on investment not only is high, but should last for decades. Sensible Home Improvements. It’s how good the improvement will make the future buyer of your home feel. Worthwhile improvements add substantial value to your home. Investment Real Estate. Borrowing to invest in real estate can work very well, so long as you avoid overpaying for the property. The above are just some of the good Personal Finance Tips that I have enjoyed. There are still many more in the later chapters and I will leave it to you to grab hold of this book and find out the rest of the Tips. I would just like to add that this book is not just sharing tips for you to plan for your own Financial Planning but also with the involvement of your Family as well. 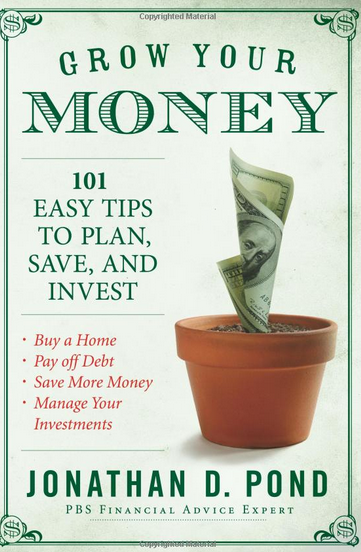 Therefore, if you are serious about planning for your 2011 and beyond and looking for good resources to help you along, you can always depend on this Financial Education Blog and also this Book!